Below the Chanderkhani pass of the Kulu Valley lies a small cluster of around two hundred stone roof houses constituting a village called Malana. Its inimitable culture and the temple of Jamlu distinguish the village. The village consists of around 1500 inhabitants and has an impeccable system of administration with a higher and lower court guided by the spirit of village God Jamlu. Malana stands out as an autonomous self-sufficient unit whose inhabitants claim Greek ancestry. Malana is connected to Kulu by three mountain passes - it can be reached from Parbati valley crossing over the 3180 metres Rashol Pass and via Nagar over the 3600 metres beautiful Chanderkhani pass. The easiest way to reach Malana is from Jari. Jari is two hours drive from Kulu and is situated at the confluence of the Malana and Manikaran nallah, which join to form the Parbati River. Jari is an entry point to Malana. About 1.5 km. Malana is divided into two - upper Malana (Dhara Beda) and lower Malana (Sor Beda). Malana is inhabited by only Rajputs. The shrine of Renuka Devi is situated in lower Malana. The Shrine with its intricate woodwork is noteworthy for its architectural excellence. Horns of animals sacrificed in the temple complex are usually fixed on the facade of the temple. Hidden deep within the foot hills of the Himalayas lies a small village by the name of Rashol which is at an altitude of around 10,000 feet above sea level and has not more than 75 houses. Rashol is located in the Parvati Valley which is in the state of Himachal Pradesh. 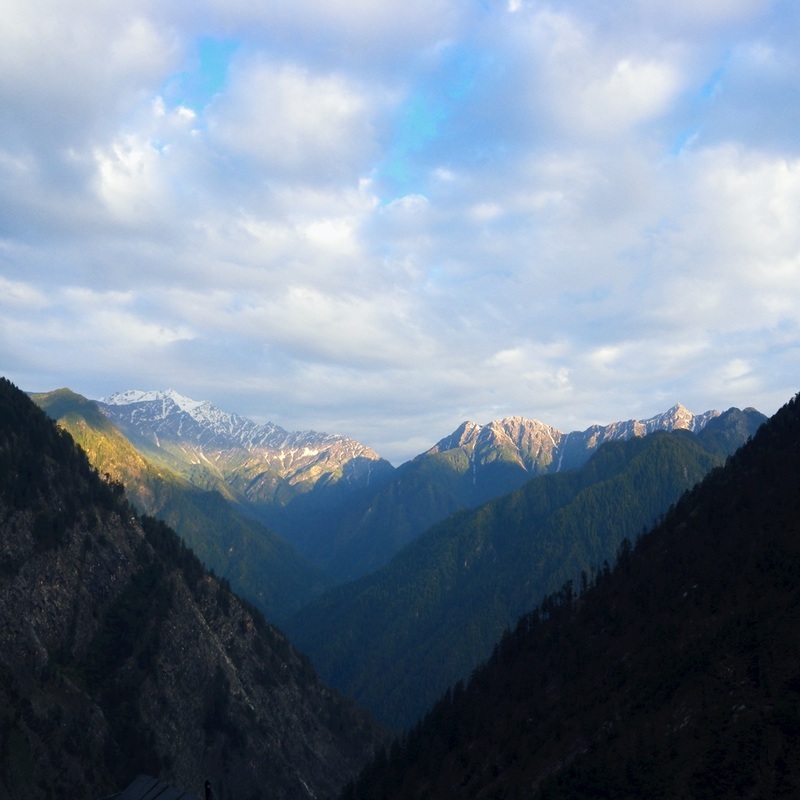 The only option to reach the village of Rashol is to hike from the town of Kasol. The hike takes around three to four hours to reach with a hand full of steep climbs which are very much do able for even a rookie hiker. While hiking to Rashol backpackers will reach the village of Challal which is around 20 minutes from Kasol. Rashol is a good place to visit all year round. The weather is generally always good other than during the winter months from end of November to mid February. A defined trail leads to Rashol Pass (3200 meters) and then to Rashol village. Ascend to the pass will take around 5 hours and then downward trail is steep giving extensive view of mountain ranges, Rhodendron trees, meadows. After crossing Rashol pass camping is at other side near Rashol village. Day 2- Rashol-Kasol- 6-8 hours. - We will trek through forest path to reach the beautiful valley of Kasol. Stretched along the lovely Parvati River and with mountain views to the northeast, Kasol is the main traveller hang-out in the valley. It’s a small village, but almost overrun with reggae bars, bakeries and cheap guesthouses catering to a largely hippie/Israeli crowd. It's also a summertime venue for trance parties transplanted from Goa, and at any time an easy base for exploring the forested valley or just chilling out. The village is divided into Old Kasol on the Bhuntar side of its bridge, and New Kasol on the Manikaran side. For an easy 3.5km stroll, cross the footbridge over the Parvati River and walk downstream to Chalal and Katagla villages. Several rustic guesthouses and cafes along here, mostly foreign-run, are perfect for those who want to really 'turn on, tune in and drop out. We stay here at guest house tonight, chill out and unwind. Kasol to Jari is an easy walk. We will reach Jari and then our vehicles will be waiting for you to transport you to Kasol or Manali.